Welcome to Silvermere Gymnastics Academy! Please complete the following registration form to enable you to enrol your gymnasts into classes. Any Previous British Gymnastics Proficiency Levels? Please note that you will not be able to enrol into 'Invite Only' classes. 15% multi class and sibling discounts are applicable- this is automatically applied. The class fee is the monthly fee that will be charged to your credit/debit card. Trial sessions are normally charged as a one off, at the individual class rate. 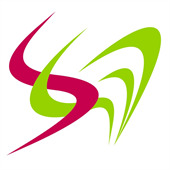 1.1 Silvermere Gymnastics Academy operate a monthly pricing scheme to cover training fees. This monthly fee includes your session fees (term time only). The cost is worked out by multiplying the number of classes there are in any given year by the individual session fee, divided by the 12 months of the year. 1.3 The members official start date will be the date that the member first attends a class after any trial session. See condition 2 on trial sessions. 1.4 Your first payment will be collected, in advance of your official start date, by a credit or debit card that you agree to register with us and authorise the use for recurring monthly payments. 1.5 Your first payment will be on a pro-rata basis from the week commencing your official start date. This will cover the remainder of the current month until your recurring monthly payment commences. Please note that this will need to be manually adjusted by a member of the admin team. 1.6 Your recurring monthly payment will be processed on the 1st of the month thereafter, which is when your monthly payment for training fees becomes due. 1.7 It is your responsibility to keep us updated with an 'active' payment card that is within its expiry date and with sufficient credit or funds available for the full amount due for your monthly payment of training fees. 1.8 If your card fails for any reason, we will try to take this payment again and if it continues to fail we will contact you to request using an alternative card. 1.9 We or our agent may charge a fair and reasonable administration fee if your account falls into arrears. 1.10 We may pass any late or missed payments to a collection agency. If this happens we will charge a fair and reasonable fee to cover our costs for such action. 1.11 Cancelling your credit card or blocking your payment to us does not mean you have given us notice to end your membership at Silvermere Gymnastics Academy. As shown in condition 3 'Terminating Your Membership', you must provide us with one months notice. 1.12 If you do not pay for your monthly training fees, we may prevent the member from entering the club. This does not mean we will end their membership at Silvermere Gymnastics Academy and you still remain liable for unpaid training fees. 1.13 All fees listed are in Great British Pounds (GBP £). 2.1 New members will be offered one trial session at the current taster session rate before committing to join the club and start the monthly payment scheme for training fees. 2.2 The date of your trial class will be the next day that your chosen class falls on following your registration. E.g. if you register on a Monday for a Wednesday class your trial date would be on the Wednesday of that week. 2.3 If you wish to accept the place following your trial session then your official start date will be the date of the next class (usually the following week). Payment will be taken from your official start date (see condition 1). You are not permitted to choose a starting date following a trial session and failure to pay ahead of the next session will result in the place being offered to someone else. 2.4 If you wish to accept the place following your trial session then you will need to pay your registration fee before your official start date. 2.5 Only brand new members will be offered a trial session. If you have previously been a member at Silvermere Gymnastics Academy and have taken a break you will not be eligible for a trial when you return. You would be required commit to our monthly payment scheme ahead of the first session. 2.6 Current members or previous members returning to Silvermere Gymnastics Academy are only eligible for a trial if it is in a class that offers a different structure or discipline to the previous class attended (eg. If a member of our Teeny tots (parent assisted) class was to try our Tiny tumblers (pre-school) class and providing it is not day one of a brand new class being offered. 3.1 Membership at Silvermere Gymnastics Academy runs on a rolling basis until you notify us that you would like to cancel. 3.2 You may terminate your membership at any time by providing 'one month's notice. One (1) further (future) monthly payment for training fees will be due from the date that you provide notice to terminate membership. During the notice period the class place will remain open for the member to attend and once this period has been served membership will be terminated. 3.3 Notice to terminate membership must be provided in writing. This can be done in the form of an email to: admin@silvermere-gymnastics.co.uk or by post to our venue: Unit 2, Bramley Hedge Farm, Redhill Road, Cobham, Surrey, KT11 1EQ. This is to ensure the information is properly documented and input on the central system at the correct date. 3.4 You will receive written confirmation via email of your membership termination. This will notify you the date of your final payment and the final class date for the member. Please retain a copy of this for your records. 3.5 It is your responsibility to make sure that we are correctly notified about your request to terminate your membership at Silvermere Gymnastics Academy. 3.6 You may terminate your membership without serving the 'notice period' if you are diagnosed with a serious medical illness or suffer an injury which prevents you from participating in gymnastics. In these cases, termination without a notice period will only be granted if a doctor's letter with a valid practice stamp is emailed to: admin@silvermere-gymnastics.co.uk stating that the member must not participate in gymnastics. 3.7 The member is not entitled to enter the club once their membership has been terminated. 3.8 Non-attendance in classes will not result in termination of your membership nor does it act as notice of termination. As stated in condition 3.3 you must provide us with one future monthly payments' notice in writing if you wish to terminate your membership. Until such time that we receive your two month notice in writing you will remain liable for any unpaid monthly session payments. 3.9 You are not required to serve a notice period if you choose to terminate your membership during the first 30 days. The 30 days are calculated from your official start date (see condition 1.3). You are however still required to provide Silvermere Gymnastics Academy with written notification that you wish to terminate your membership. Providing your written notification is received by Silvermere Gymnastics Academy within the first 30 days you will not have to serve a two month notice period (see condition 3.3 on how to provide written notification). 4.1 The following circumstances may result in Silvermere Gymnastics Academy cancelling your membership either on a temporary or permanent basis. 4.1a A breach of the terms and conditions set out in this document. 4.1c The use of rude or abusive language, or threatening and violent behaviour towards another club member or member of staff either in person, over the phone or via email. 4.1d Causing a disturbance which effects other members and prevents them from enjoying their experience at Silvermere Gymnastics Academy. 4.2 If Silvermere Gymnastics Academy choose to end your membership as a result of the reasons stated in notes 4.1a to 4.1d, you will forfeit any payments that you have made to date and you will not be eligible for any refund. Your membership will be terminated with immediate effect. 4.3 If Silvermere Gymnastics Academy terminate your membership you will not be allowed to attend any classes after the termination date. You or the member will not be able to apply for membership at any venues registered under Silvermere Gymnastics Academy in the future nor will you be allowed to enter any of the venues. 4.4 If Silvermere Gymnastics Academy decide to change the location of a venue or permanently close the club, we will, where possible, give you 1 months' notice of the change or closure in writing (either in letter form or by email). 5.1 As a customer and valued member of Silvermere Gymnastics Academy you agree to follow the club rules and codes of conduct set out by Silvermere Gymnastics Academy. At any time we may need to make reasonable changes to these rules and you will be notified in advance of any changes. 5.2 At any time the monthly training fees may be increased to accommodate price increases of rent, coaches and equipment etc. We will provide you with reasonable notice of any price changes in writing (either in letter form or by email). 7.1 When registering and enrolling to classes at Silvermere Gymnastics Academy you agree that during your membership period you may be required to change class times and or days to ensure that the member is always in a class that is suitable for their age, ability and needs. 7.2 Prior to the start of each term the class timetable will be issued and, if appropriate, members will be moved into a more suitable class for their age, ability and needs. You will be notified of any class changes in writing (either in letter form or by email). Members may also be moved mid-term if space becomes available in a more suitable class and if it is in the best interest of the member. 7.3 Occasionally we may need to make changes to the class timetable (either class times or days) midterm. If this is necessary then we will give reasonable notice of all changes to the class timetable. 7.5 If circumstances out of our control (such as a venue double booking or extreme weather) force us to cancel a regular published class we will attempt to offer a 'make-up class' on an alternative day, time or date to substitute this cancellation. If you are unable to attend the 'make-up class', or we are unable to provide a 'make-up class' a refund will not be applicable. 7.6 If we decide to change the location of a venue that you are a member of then we will automatically transfer your membership to the new venue. We reserve the right to change the location of your venue within a 7 mile radius of the existing venue. We will give reasonable notice of all changes to the club venues in writing (either in letter form or by email). 8.1 You are responsible for paying the appropriate monthly training fees for all members who are linked to your account. You are also responsible for paying any additional charges for the use of facilities, services and products not covered in your monthly training fee. 9.1 It is your responsibility as the parent or legal guardian of the member to inform Silvermere Gymnastics Academy of any medical conditions or injuries that the member has or had in the past, which may affect their 'health and safety' when participating in classes at Silvermere Gymnastics Academy. You must also list any medication that the member is currently taking or needs to use whilst in a class and under the supervision of Silvermere Gymnastics Academy staff. It is vitally important that medical information is up to date and therefore you are responsible for notifying Silvermere Gymnastics Academy immediately if any of the medical information for the member changes during your membership period at the club. 9.2 You are responsible for notifying the lead coach of any medication that the member may require during the class (eg. Asthma inhaler). You are also responsible for ensuring that the medication is handed to the coach before each session that the member participates in. and is unable to administer it themselves then it is your responsibility to remain on site during their session in the event that it is required. Please ensure you notify staff if this is the case so that they are aware of where the epi-pen is and where you will be located during the session. 9.4 By allowing your child to attend a class at Silvermere Gymnastics Academy, it is deemed that you authorise the Silvermere Gymnastics Academy staff to seek treatment and medical assistance for any injury that may occur to the member whilst participating. In the event that you cannot be reached you authorise the First Aider, Doctor and/or Hospital to perform any necessary emergency treatment. 10.1 While actively participating in the sport of Gymnastics there is an inherent risk of injury. The club and coaching staff will endeavour to minimise any risk through practising sound coaching technique and risk assessing all of the equipment and training stations. However there is still a risk that accidents may happen. 10.2 Severe injuries, including permanent paralysis or death can occur in sports or activities involving height or motion, those activities include but are not limited to gymnastics. 10.3 To minimise the potential of risk, all members must abide by the safety rules and codes of conduct set out by the club at all times. 10.4 It is the responsibility of the participant/parent to ensure that the member is healthy and physically fit enough to participate in the gymnastics session. 10.5 By attending a Silvermere Gymnastics Academy class it is deemed that you agree with and understand ALL OF THE RISKS associated with participation in the sport of gymnastics, that you confirm the member is healthy and physically fit enough to participate and you agree to adhere to the safety rules and codes of conduct set out by Silvermere Gymnastics Academy at all times. 11.2 It is not prohibited to take photos of your gymnast at Silvermere Gymnastics Academy. You must however do your upmost to ensure that photos are solely of your gymnast, photos that involve any other gymnast must not be posted on any form of social media. If any part of these terms and conditions is unenforceable, the unenforceability of any other part of those conditions will not be affected. Your personal and contact information and the members personal and contact information are held on our central database in compliance with the Data Protection Act 1998. Your payment card information is securely stored in compliance with the PCI data security standards. If your account falls into arrears we may share your contact information with our collection agent for purposes of payment collection. We can only discuss your account and the details of the member with the customer. If you are not the member's parent, with your permission, we will discuss details with the member's parents or legal guardians. This agreement along with the 'Gymnast Code of Conduct', 'Parents/Guardians Code of Conduct' and all associated policies, rules and regulations govern the terms and conditions of membership, the members use of our venue and your relationship with Silvermere Gymnastics Academy. Please ensure you read these documents carefully as they affect your rights and liabilities under the law. Please note that by attending a class at Silvermere Gymnastics Academy or bringing a member to a class at Silvermere Gymnastics Academy, it is deemed that you accept these Terms and Conditions and agree to be legally bound by them.